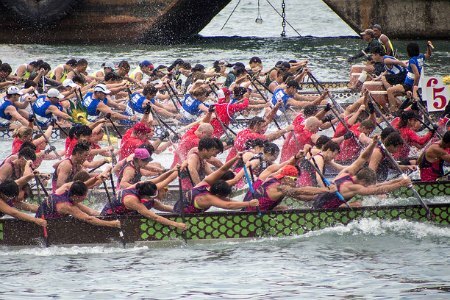 For All Champ Rowers... Dragon Boat Festival is on June 7, 2019!!! 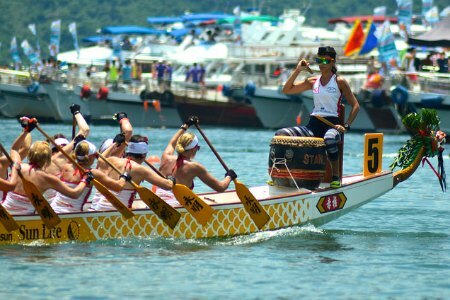 On the fifth day of the fifth lunar month, or around June in our Calendar, the Chinese Dragon Boat Festival takes place. There are many legends as to the origin of this festival. One states that it probably got started as a celebration for the planting of the rice crop and to pray for a good rainfall since it was believed that Dragons controlled the rain and rivers. 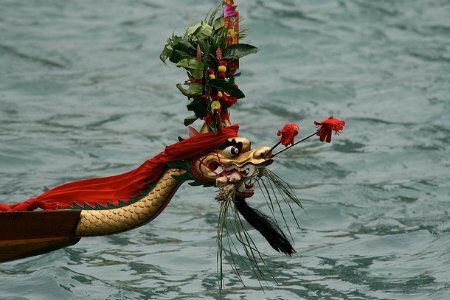 People would put offerings in the river so that the dragons would bring rain for their crops. Another legend tells the story of Qu Yuan, an old man that drowns himself by jumping from a boat, because he couldn’t stand to see his country being destroyed by the poor leaders. When the village people went to look for him, it was too late. They threw offerings of rice into the water to calm the man's spirit. 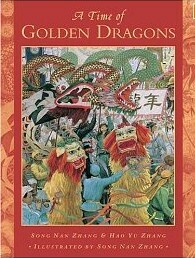 One day, Qu Yuan's spirit returned and told them the rice meant for him, was being devoured by the river dragon. 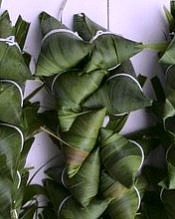 He asked that they wrap the rice in leaves, in shapes like small pyramids. Today, people eat these rice dumplings, known as zongzi in memory of the old man. 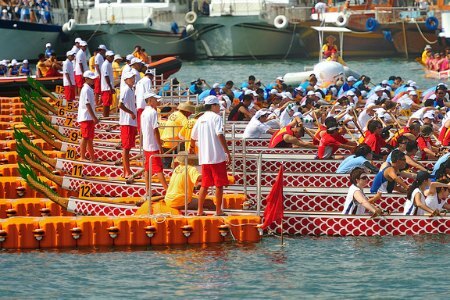 Nowadays, what characterizes the festivities is the Dragon Boat Races. These are very noisy and exciting events with hundreds of teams competing against each other in this great tradition. 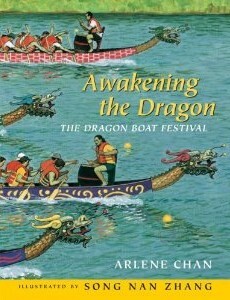 Chinese Dragon Boats are long, narrow boats with a dragon's head at one end and a tail at the rear. 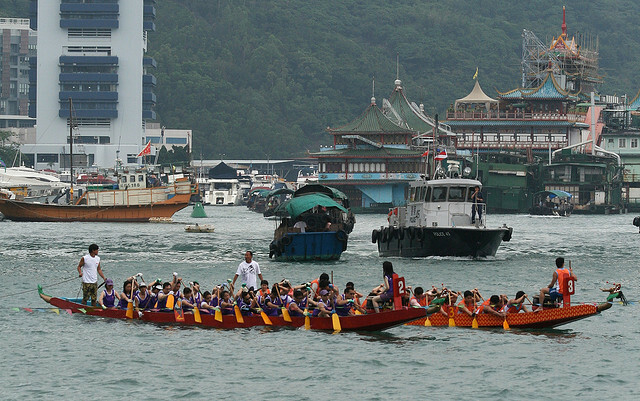 Teams of rowers paddle together in unison as they race to the finish line. 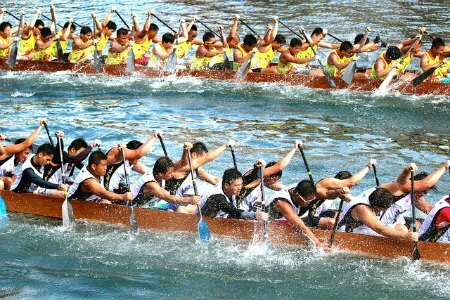 A leader sits in the front by the head, facing the paddlers, and sets the pace by pounding a large drum.